A young Nigerian footballer has been beaten to death in a Welsh nightclub. 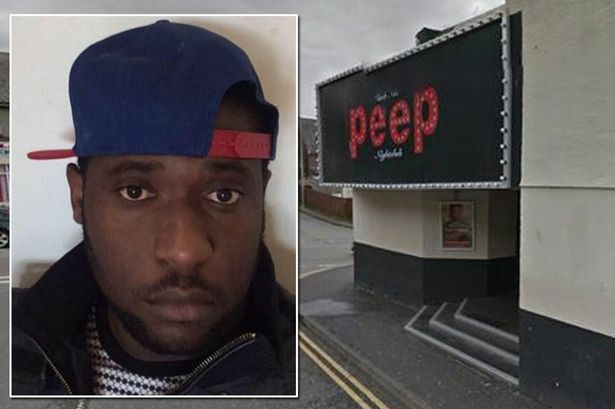 The father-of-two, Henry Esin, was attacked on Dean Street near Peep nightclub in Bangor on Saturday and was taken Ysbyty Gwynedd and then transferred to Stoke hospital for treatment at their special trauma unit shortly before 2am. The friends and family members of the 27-year-old who call him Romeo, are shocked that the young man would be this gruesomely murdered. They said he was a complete ‘true gentleman’. A player-manager, Steve Smith, said: “He was a proper gentleman and he always made a special effort to be polite. “He was a genuine all-round nice guy. I do not know anyone who would have a bad word to say about him. The amateur footballer’s club Llanfairpwll FC will hold a minute’s silence before their game against Cemaes Bay on Wednesday in tribute to the striker. “We offer Henry’s family and friends our sincerest condolences at this most heartbreaking time. “Gone but never forgotten, a true gentleman in every sense,” a statement on the club’s Facebook page said. A 26-year-old man from the Bangor area was arrested after the attack, and has been re-arrested on suspicion of murder following Mr Esin’s death. He is still in police custody after detectives were granted an extension to the time they can hold him to question him.